Did you know that no other marketing channel is more personal than direct mail Raleigh today? Now that the holidays are knocking at your door, I’m sure you must be looking for a personalized marketing channel that speaks directly to your customers, and in doing so you should be able to enjoy very good results. In the US, research done by the United States Postal Services shows that 98% Americans read their mail daily. The question is, among the thousands of marketing messages people receive daily, how can you make your messages stand out and actually get responses? I’ll show you how. It’s easier with direct mail than any other type of marketing! There’s always stiff competition out there, but, did you know that you can get them hooked to your offers more than ever before? All you need is to understand the secret behind direct mail Raleigh and learn how this marketing channel is helping small and large business owners increase their customer exposure as well as supporting their communities and other business partners through networking. Carolina Direct Mail brings you the moments you’ve been longing for, you’re able to engage your customers in a more personalised manner to make them feel special and valued. You can make that appeal to them, and show them that you’re a small business that means business! Direct mail is the golden wings your business needs to open up your own zones in your region and beyond if you want to look more big picture. When it comes to marketing and advertising your business, it must be done in a truly professional manner if you want to achieve 100% customer satisfaction and exceed your expectations before 2018 is over. More than 18 million businesses are featured in direct mail listing and your business should not be left behind. Stand out, make your business sound just as special as it is. Direct mail services is a comprehensive marketing strategy that incorporates aspects like direct response marketing, cross media marketing, integrated marketing, graphic design, mailing list, mailing services, printing and much more. If you are not conversant with these, then it can be a bit tricky for you. But no need to worry, we can help you do it like a pro! 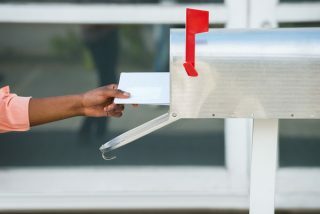 Need Help With Direct Mail Services? If you are using direct mail services for the first time or you’ve used this marketing channel before with poor results, don’t worry. 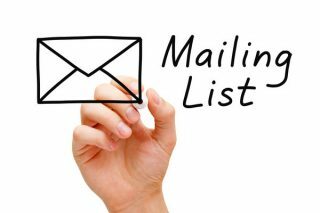 We are committed to help you get started and make your business appear in the direct mail Raleigh listing. We provide our customers with exceptional services to help them enjoy the convenience of direct mail and reap all of the benefits that it has to offer. We have a very keep eye for detail when it comes to these things, so you can trust us to get you right! For more information call us now or visit our website today and find out more on our professional and highly expertise services to help your small business tap all the benefits of direct mail. Direct mail information is available from Limelight Direct Mail Marketing at 919-452-5418.
nextCould Direct Mail Boost Your Business In This New Year?